Luck Parfum by Avon has been a favorite for awhile and continues to please the discriminating nose. This is a fruity/sweet citrus, with white floral and sandalwood sure to delight. To make sure the scent lingers throughout the day, be sure to layer with the shower gel and body lotion. Be sure to give a little Luck to the man in your life!! This fresh scent is mandarin, cool spices and woods. And layering will make sure the scent lingers till he gets back home. 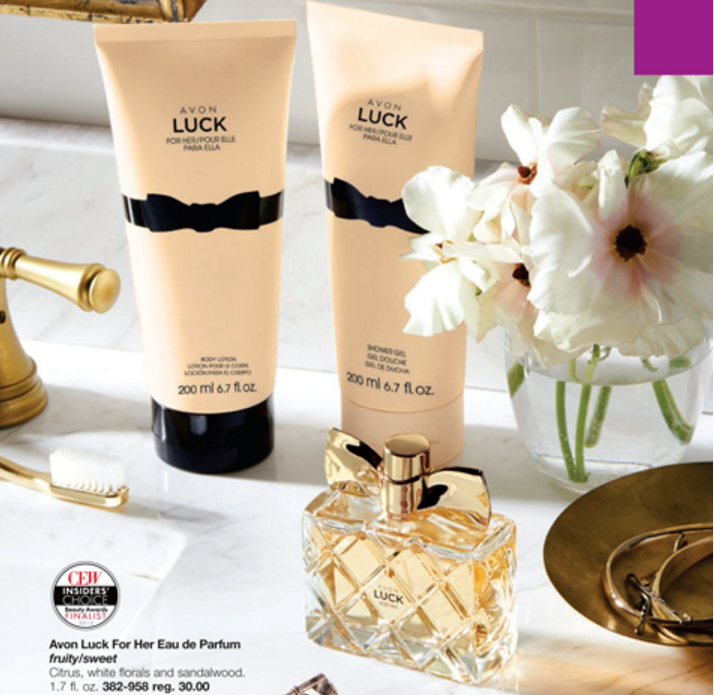 Don’t forget all the other wonderful fragrances Avon has to offer! From Little Black Dress (a warm/spicy scent) or Little Red Dress (warm/spicy) to the timeless classics like Sweet Honesty (woody/earthy), Odyssey (warm/spicy) or Soft Musk (Floral) you are sure to find the perfect scent to set off the mood for your day. 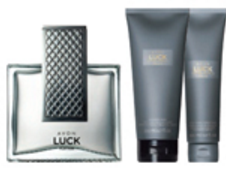 And for the men in your life, Avon Prime (woody/earthy), Blue Escape (fresh), or Mesmerize (warm/spicy) just to name a few!